A District Project “Smiles without Borders”. Information on how your club can participate is included in this newsletter. As a child born with a cleft, I am truly inspired by the out pour of support from the clubs for this project. A BIG heart felt thank you to our Chair, Barry Turner from the Rotary Club of Nevada City 49er Breakfast, and his team for getting this project up and going. Teaming up in your area for projects and promoting Rotary with a ‘Rotary Awareness Day’. Share Rotary in your community, invite non-Rotarians to learn more about what Rotary is doing and invite them to join you in Rotary so they to can be a part of something bigger than themselves. Increase awareness on human Trafficking in our areas. There’s a link to the Awaken Organization with ways you can help support those transitioning out of Human Trafficking. Continue the Rotary Leadership Institute training with the help of our Assistant Coaches, trainers and energetic Chair Kim Wilbanks. Utilizing our new Visioning Team led by Karen McDonald. These sessions help your clubs come together on the Vision they have for themselves. Our Club dynamics continue to change, and it is important that we are all working towards the same vision. 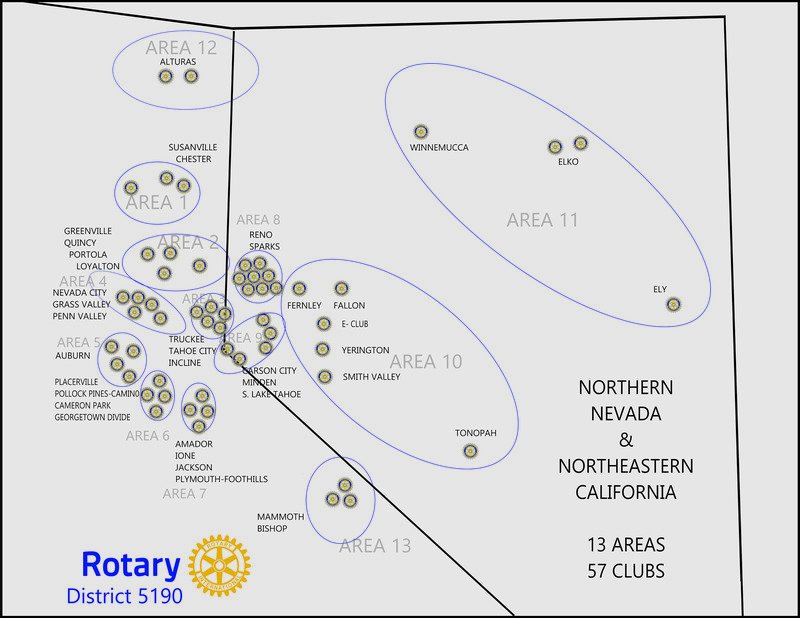 A Big goal, and something that our District hasn’t done before, is having every Rotarian in our District be a sustaining member. This is just a $100.00 for the Rotary year, less than .30 cent a day. We will have a monthly update in our newsletter so watch that baseball bat as our clubs become 100% sustaining. This only applies to members as of July 1, 2018 for that goal to be met.